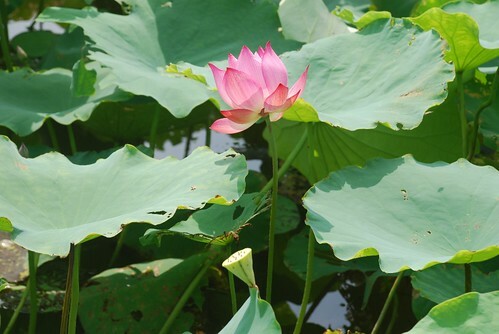 Summer is the lotus season in Hanoi, the best and the most beautiful flower. Lotus mainly grow in Hanoi, in the West Lake area. 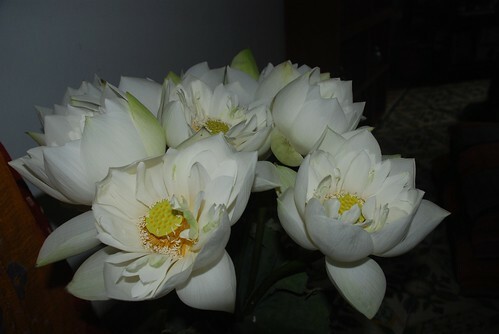 The early morning is the perfect time to go there to take photographs and buy lotuses. There are lots of people trading lotuses around Hanoi. Unfortunately, once the flowers are cut, they don't last long unless they are in an air-conditioned environment. Fortunately, they are dirt cheap right now. Here is the show that I worked on with Gourmet's Diary of a Foodie. Once again, thanks to Rob and Tom for giving me a chance to work with a great professional team. I learned alot. 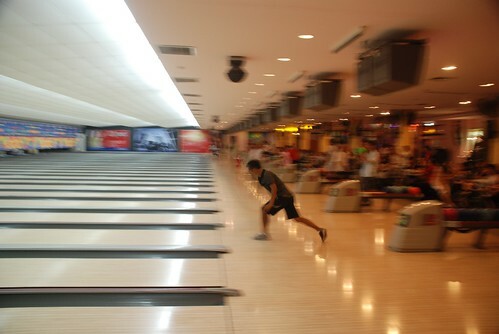 My friends invited me to join in a ten-pin bowling day yesterday at Star Bowl. It was great fun with many stupid uncordinated bowls thrwon by me down the gutters at the side. 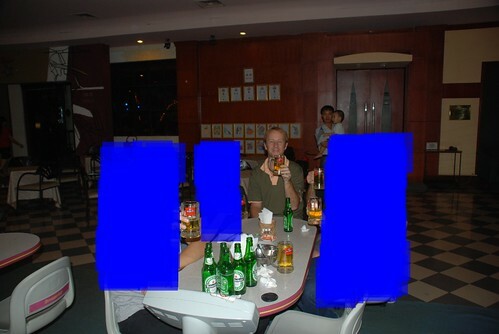 I was a bit drunk after a few beers and unfortunately my bowling skills didn't improve! I thought I was destined to be last! 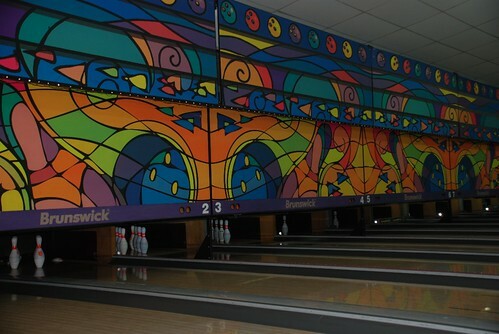 We had a few laughs, especially when the ball didn't exactly roll but instead bounced along the lane. I was hopeless today, I swear! Sometimes you see some funny sights. There was an older man playing next to our lane and he seemed very professional and he has his own shoes and gloves and ball. He played really badly but he had a bit of a bad attitude so I accidentally on purpose took his ball and bowled it down the alley just for a laugh. I couldn't help it! We only paid 110,oooVnd each for 2 games and the shoe hire. If you forget your socks, they'll sell you a pair for 5000VND. The last time we played, if you forgot your socks, you had to hire a pair which had been worn (and not washed)... so that's an improvement! Good fun! A good day had by all! It seems so funny to be writing about helmets again just six months after their introduction into law. Some interesting trends have developed . I want to talk about the modern helmet that Vietnamese designed from the origional to a new style as cap, some of them look like a bowl and some other with really wierd style with variety of colors. It maybe rumour but I think it's going to happen that the government will not allow the modern style of helmet and some not qualify. 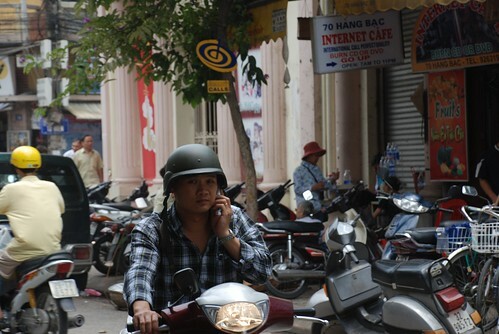 As many magazines has mentioned in newspaper that only around 30% helmet that secure and on standard in the whole Vietnam. It's truly dangerous if you think about in that 70% of bad quality helmet would kill many people? 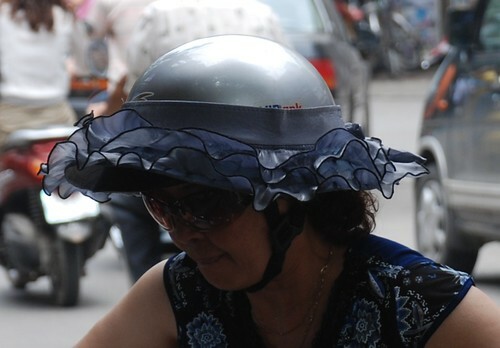 Another word, that most people in Hanoi love fashion and they don't really care about their lives and as some of my friends told me that wearing the origional helmet style which may turn they look silly and ruin their hair styles. Some people don't want to spend lots of money on helmet because they think they will not catch any accidents. They wear the helmet just to complete their duties on the road which is a really silly idea. 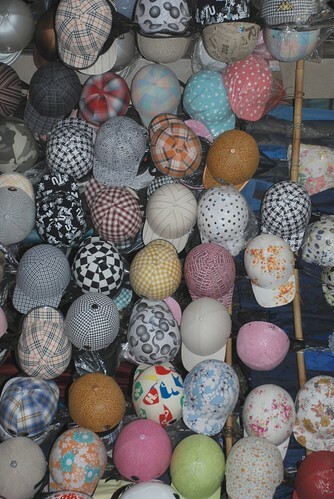 Those helmets aren't cheap at all but some chinese helmets are dirt cheap around $3. I don't think that is a good idea but my thinking is not the same as other people thinking as they more concern about their look then their future. Lots of people wearing helmets without tide the strap and I saw many helmets flowing in the air or fall on the street and also lots of people die because of the same reason or bad quality helmets. Think about our great future and it's truly worth to buy a good helmet for our own secure.